Tom Binns was established in 2004 and has become the go-to brand for women looking for jewellery that blurs the line between classic and contemporary. The label has a high-end, luxury aesthetic with unique details, such as hand-painted designs and playful modern motifs, such as barbed wire and safety pins. 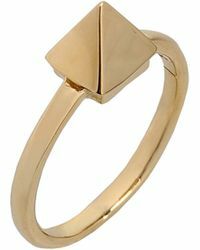 Explore the Tom Binns collection of rings and lend your look a modern accent. 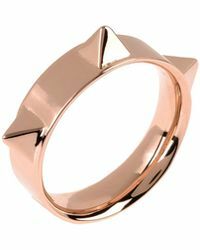 Shop the range for everything from punk-inspired gold-toned rings and statement cocktail pieces to spiked styles, signet rings and razor-blade versions.